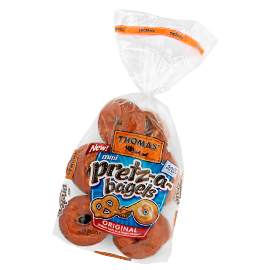 I recently discovered Thomas' Pretz-a-bagles. They are low-fat (120 cal, .5 gram of fat and 4 grams of protein), super yummy and can be used for dipping, for sandwiches or straight from the bag. My kids love them too. They make a great go-to snack and they'd be perfect for after-school. (No, this is not a sponsored post - just my take on a great product I think other moms would love.) Sorry, but I get excited about things that make my life easier...or more yummy. Speaking of yummy! I once cut them in chunks, dipped them in butter, smothered them in cinnamon sugar and baked them...WOWza! Mmmm, mmm, good. They're my new favorite thing! Anyway, my question for the week is: What is your new favorite thing? Please share. Thanks for stopping by today! 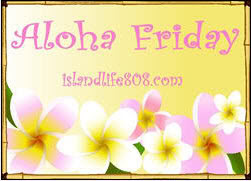 Have a wonderful weekend!! Quakes Chocolate rice cakes - I'm addicted! My new favorite thing is Bear Naked Soft-Baked Double Chocolate Granola Cookies. They are so good! One cookie has a whopping 130 calories, but they're made with all kinds of good whole grains and nothing artifical. One cookie fills me up - have it with a cup of tea and it's breakfast. I got a pack of those at a conference, and you're not kidding. They're really good!!! My latest favorite is probably Triple Double Oreos!!! Learning to do electrical wiring. LOL strange I know. I've rediscovered Yogurt and now I'm hooked! My new favorite is coupons.. I'm becoming obsessed!! My new favorite thing is Passion Ice Tea Lemonade from Starbucks. It's sooo good! Since I'm on a mission to lose weight, my new thing are the "Skinny Cow Chocolate bars" I've discovered. They're pretty good.